For over 15 years, Sound Door Services has been your trusted and reliable garage door company in the Kent area for new installations, repair services, openers and more. We know your garage door is something you depend on daily, and that’s why our professionals work to get the job done right and fast – so you can get back to normal life! Whether you’re looking to install a new garage door, or need something repaired – our experts work with you to find the right styles and parts you need for your home. We’re proud to work with top brands like Liftmaster, Genie, Northwest Door, Amarr & Wayne Dalton. 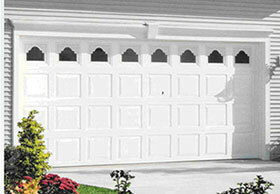 Contact us today for emergency repairs, springs, openers, and a variety of new garage door styles. Based out of Renton, we serve the entire Kent area as well as other areas of South Seattle! We are also bonded and insured, so you can rest assured that new installations and repairs will be completed properly. Whether you own a home or a business, there are thousands of color, design, and function choices when it comes to picking a new garage door. Our specialists work with your unique needs, from design to function, and install the perfect door. Ask about Wayne Dalton, Amarr, Northwest Door and other top brands we often install.